Vernier Video Physics app for iPad. 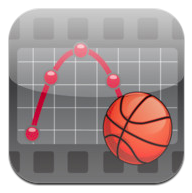 Video Physics brings complex video analysis to iPhone, iPod touch and iPad and into the hands of the students. The app allows students to take a video of any object in motion and then by marking its position frame by frame analyse the motion graphically to scale. 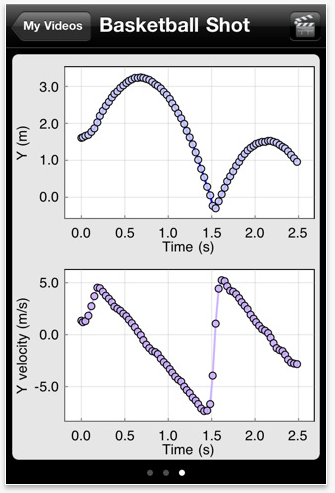 Video Physics draws trajectory, position, and velocity graphs for the object. Videos can then be shared with Facebook, YouTube and the Camera Roll, which includes the video with markers showing the motion and also the graphs produced from the data collected. Video Physics will display the path of the ball and provide graphs of Y vs X as well as the X and Y position and velocity as a function of time. This app is perfect for reluctant students that are not engaged in physics and allows them to use technology and see real life situations being transformed into quite complex graphical physics. The features of Vernier Video Physics are as follows. • Capture a new video using the built-in camera, choose a video from your photo library, or use one of our sample videos. • Mark the position of one object, frame by frame. • Set the scale of the video using an object of known size. • Optionally set coordinate system location and rotation. • View graphs of trajectory, and x/y position and velocity. • Export the marked video to Facebook or your Photo Library. Graphs are appended to video. • Email the video and data for further analysis in Vernier’s Logger Pro software for OSX and Windows. 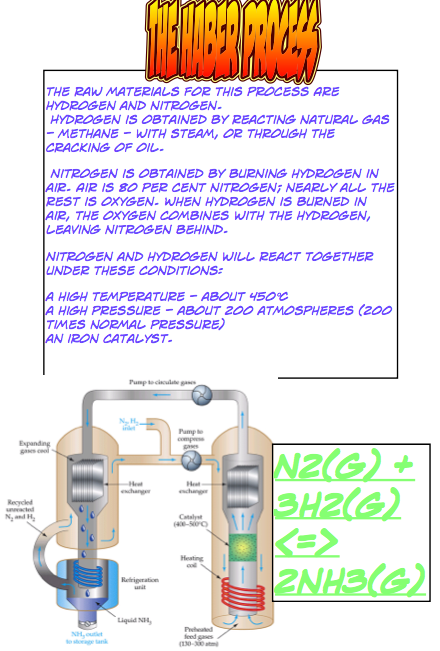 I used this app with Year 9 students last week with the help of @TESScience @asober . 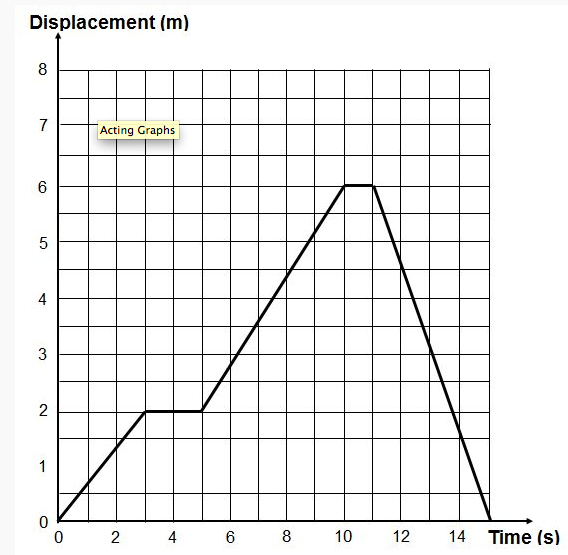 I have found that these students are always engaged when using iPads combined practical activity, however, some girls lack self confidence and motivation but during this lesson these two girls produced the best replication of the displacement time graph (seen below) from the whole group and were very pleased to share this with the group at the end of the lesson. The app allows all learners to access the activity and allows some students to show off their skills. The students progressed immensely during the lesson with their understanding of drawing graphs, interpreting graphs and working as a team using iPads. A very productive and pleasing lesson. The lesson plan that we used during this lesson and accompanying resources can be found at the following links. Both resources have been uploaded to the TES Resources by Alessio Bernardelli Science Subject Advisor for the TES. A lesson today saw Year 11 GCSE students use the iPads as part of their revision for their forthcoming exams. 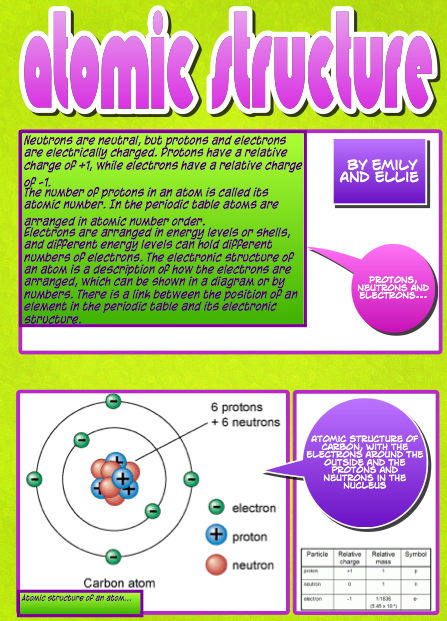 Students worked in pairs to produce a revision comic using Comic Life. Students decided to use a range of different sources such as the internet, text books and their work books for information. The students had 20 minutes to produce their comic, following this they were considered experts in their chosen subject area. Once the comics were completed one member of the pair visited other groups to learn something new from their peers, whilst the other member of the pair used the comic to teach other students within the class. Students were engaged and showed excellent team work and peer teaching skills whilst producing an outstanding revision resource that can be easily shared via email, twitter and also Facebook. Some examples can be seen below. The start of the future? 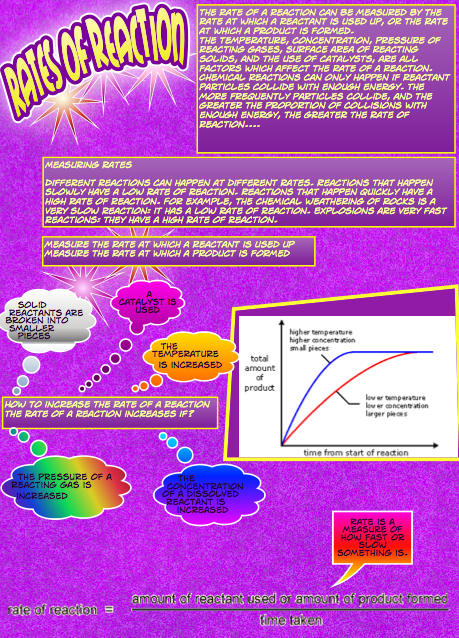 Using iPads in the classroom. Today saw the first lesson where I had planned to use all 9 of the iPads to enhance the learning and had planned to allow the students to be creative when demonstrating their scientific knowledge. The students were starting a new Assignment and were asked to work in pairs or threes when using the iPads. This allowed for collaboration and continuos feedback from their peers. Students were engaged in the task from the start and enjoyed working collaboratively, where discussions with their partner were always focused on learning. Initially some students were a little dubious about using the iPad as they didn’t know how to use it. However, after a few minutes of demos from myself and their peers they had gained the confidence to give it a go and try different things. Using Dropbox, I shared the assignment brief with all devices along with some key websites and vital information such as the success and assessment criteria. Students needed to use the internet to research all about maintaining a constant environment within the body to produce a leaflet using Comic life to hand out to runners at this years Race for life. Some QR codes were also positioned around the room which were linked to websites and useful information. This allowed curious students to discover the potential of QR codes, all of whom found them ‘amazing’ and one student commented ‘thats well cool,sir’. Other members of the class chose to combine their comic with a document produced on Pages where they felt they had more freedom with different fonts and layout. Some students seemed to be slightly distracted with the cameras and were very amazed by the fact that they could take pictures. Those students where quickly advised that this was not part of the success criteria and were reminded of the expectations. I feel that the pupils felt that they were privileged to use the iPads and treated them with a lot of care and a usually lively class was very quite as the students were engrossed in the iPads. All work, once completed was then emailed to a faculty account that had been set up as dropbox does not support the ability to upload documents other than pictures and videos. Dropbox doesn’t allow you to email the files to be stored which would be a perfect way to share the work with other users and their devices, although this may be developed in the future. Overall, I feel this lesson was a good introduction into the use of iPads within education. Just a little bit of fun for the classroom. With the idea that all pupils need to have a laugh every now and then and also to show that the Teacher does have a personality and a fun side. Using the app Just Dance 3 Autodance that is available for iPhone and Android. It is also available to download on the iPad as an iPhone app. You can film pupils undertaking work or practical activities or your faculty teaching. The app then does all the hard work putting it together to a choice of three songs. Easy free idea to put together a short video to document the students lesson or an excellent tutor time activity to build confidence and develop team work and creativity. Smart Phones – In the pocket or the palm? There has been a lot of debate to whether Head Teachers should ban smart phones. According to the Guardian the view of the NAHT is that schools should continue to ban smart phones because they hold “potential for mischief and distraction”. My view on this quite bold statement will be discussed during this blog post and I am sure that this blog will be the first of many issue around this topic. I strongly feel that the view of smart phones having the “potential for mischief and distraction” is one made by someone who does not fully understand the potential that these devices that are currently lying ‘dormant’ in the students pockets and could have massive impact on teaching and learning. A manageable acceptable use policy would need to be in place and if these students did not use there mobile devices in the correct manner then they would lose the right to use them. A large element of trust must be placed in the hands of the students to use their devices appropriately. We must remember that in the current economic climate schools may not have money to spend on new technology and with funds being cut to develop technology, using the pupils smart phones or mobile devices will bridge the technology gap without significant investment from the school. The devices that are now in the pockets of students is an excellent opportunity to engage students in learning in a way that can develop their own independent learning skills and also “capture the vast amount of informal learning going on outside the classroom”. The opportunities available to students to access the internet and also applications that are available on smart phones and mobile devices are endless. I strongly feel that Smart Phones and Mobile devices should be encouraged in the classroom these will provide an engaging up to date way of learning. From first hand experience I have used smart phones and mobile devices such as PSPs, Nintendo DS and iPads to allow less able students to access key information from the internet to aid in their learning. This has really engaged these pupils in learning and increased their enjoyment within the lessons. So reviewing the big question from the start… Smart phones definitely belong in the palm of the students to aid learning and provide an up to date learning environment which will engage all students. I am a firm believer in that having an iPad or any Apple product is to do things differently and not carry out the same task just on a different device. 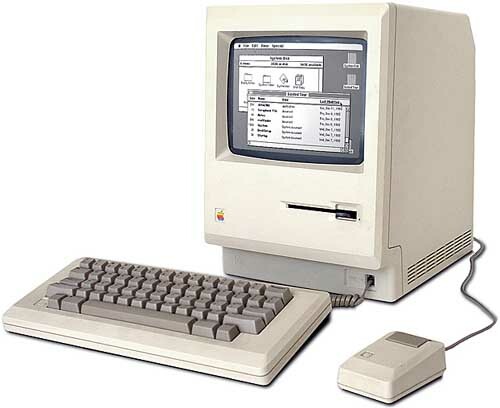 For example I wouldn’t use an iPad to write up a piece of work in the classroom when a computer room was available. I totally agree with the advertising slogan ‘Think different’ dreamt up by Apple in 1997. If they thought differently in 1997 and made Apple what it is today then we can definitely think differently today, imagine the potential of your students now if you encouraging them to think differently. As previously mentioned in my first blog I strongly feel that iPads and iPhones should be used creatively in classrooms to develop creativity and provide opportunities for all students to learn in a way that is relevant to them. Applications available from the app store provide an excellent resources that is accessible and relatively cheap. It provides an easy way to personalise your device and your learning. On the blog I wish to share some excellent apps and hopefully provide a new way of thinking towards some of the apps that aren’t directly linked to education. I find that using subject specific apps do not provide a creative way of learning although they do enrich the learning journey. I struggled to start this blog and now that I have (11 words in) I hope that I will make the most of the full potential that blogging can offer. I had been debating whether or not to start a blog for some time and hopefully I have made the right choice and this blog will not only provide a place for me to reflect on my Teaching, but also provide some new ideas for everybody to try. I am relatively new to the teaching profession but I feel that have a desire to innovate and inspire learners (staff and students) to try something new in the classroom. I strongly feel that being brave is important and taking risks with new technologies, new ideas and new ways of teaching is both beneficial to my own development and the improved attainment shown by the students. I am passionate about using new mobile technology within the classroom to enhance the learning journey whilst also improving the engagement of all pupils. I have been trailing different ways of using my iPad during lessons for various different reasons but most importantly to encourage students to be creative. I feel that the iPad provides a vast array of opportunities for students to demonstrate learning through the use of numerous apps. Most of which require little or no writing. I hope to share the best of these apps on this blog in the future and hopefully with the introduction of more iPads within my faculty, more pupils will be able to experience the power of the iPad and I feel that the students will come up with more good ideas that I will be able to share. I wish to pass on ideas that can innovate and inspire others.